A Wise Man or a Fool? All day he wandered about, and at last he came to a little clearing on the side of a hill from which he could look down over the country. The Sun was setting over the distant blue hills, and everything was touched with a pink and golden light, and deep shadows lay on the banana gardens and forests in the distance, but the boy saw none of these things; he was footsore and weary and miserable, and he sat down on a fallen log, tired out with his long day. Suddenly a lion came out on to the clearing. “What are you doing here all alone?” he said severely. “Is that all you think about?” said the lion. “Then you are a fool,” said the lion decidedly. “Wise men think about things that benefit the country.” And he walked away. Then an antelope came bounding out on the clearing and stopped to stare at the boy. “Do you ever eat anything?” said the antelope. “Do you ever thank her?” said the antelope. “No, I have never thought of that,” answered the boy. “Then you are a fool,” said the antelope. “Wise men are always grateful.” And he bounded off into the forest again. “What are you doing here?” he asked crossly. “Do they love you in your village?” asked the leopard. “Then you are a fool,” said the leopard. “All boys are nice; I often wish I were a boy; wise men mix with their fellows and earn their respect.” And he walked on sniffing. 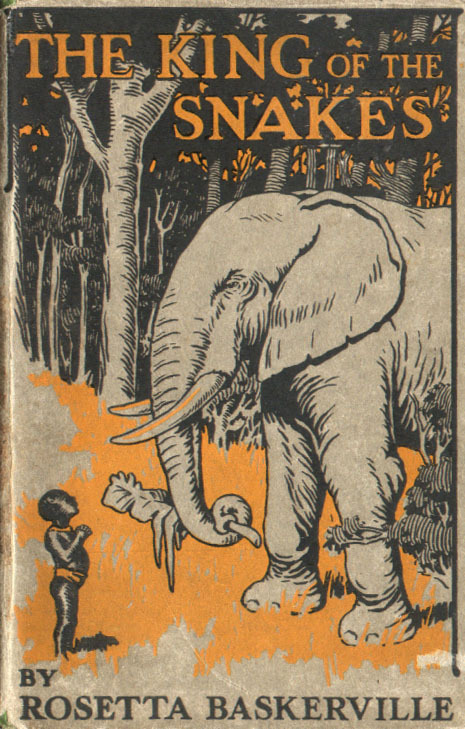 “What work do you do?” asked the elephant. “I don’t do any work,” said the boy. 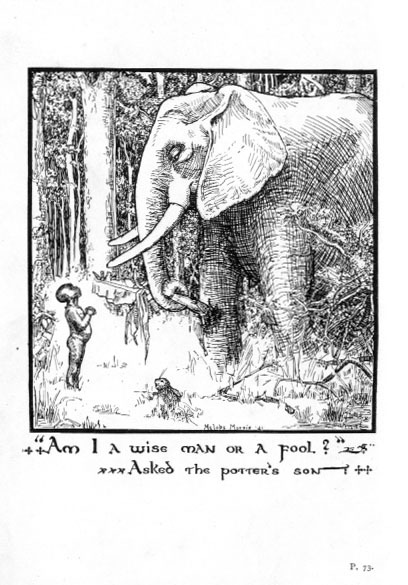 “Then you are a fool,” said the elephant. “All wise men work.” And he swung away down the path which leads to the pool in the forest where the animals go to drink, and the boy put his head down in his hands and cried bitterly, as if his heart would break, for he did not know what to do. After a little while he heard a gentle voice by his side: “My little brother, do not cry so; tell me your trouble.” The boy raised his tear-stained face and saw a little hare standing by his side. “I am very miserable,” he said. “I am not like other people, and nobody loves me. I came into the forest to find out whether I am a wise man or a fool, and all the animals tell me I am a fool.” And he put his head in his hands again and cried more bitterly than ever. “They will laugh at me,” said the boy. And the world is mine to-day.”My feet are sure and my hands are strong. … So the boy went back to his village, and he found his mother digging in the garden, and he knelt down and greeted her as all nice Baganda children do, and he saw how pleased she was. Then he went to his father, and said: “I want to be a potter; teach me your work and I will try to learn it.” And the potter was very much pleased to think that he would have a son to take on his trade after him, and all the people in the village heard and they rejoiced with the potter and his wife. This entry was posted in Orthodox Theology and tagged AFRICA, African, Beauty, Fable, Folktale, Joy, Jungle, Song of Work, Uganda, Wild Animals, Wisdom, Work, worship.